OlympTrade - Affiliate CPA network reviews and details. 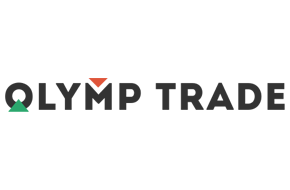 Olymptrade, a direct advertiser, becomes one of the biggest binary options brokers in many countries. Our CPA program is now being developed, so it is necessary for us to seek new affiliates and traffic. Both desktop and mobile are the things we need. Any traffic sources can be approved. Besides, in terms of money, because of the unlimited budget of our campaign, real huge cash could be invested in our affiliates. Our special analytic department aims to make our offers attractive to our partners by seeking the freshest GEO's 24/7, which boosts our conversation rate. In addition, we own a diversity of promo materials such as pre-lands, banners, videos, teasers, etc. Moreover, 90% of them are in the native language for the chosen GEO. Whenever you have some ideas that can make an attractive promo, don't hesitate to tell us. Our designer's team will be ready to bring special things to you. You can check Olymptrade reviews and Offers on Affbank and ask Olymptrade Team any question by using the contacts above, especially about how to earn money!